f you are looking for style and sophistication with flair then look no further. 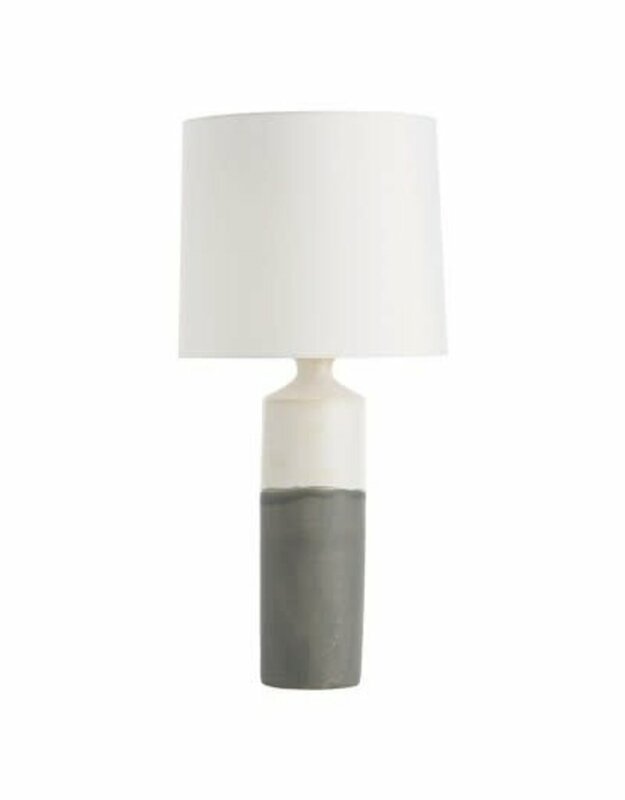 Arteriors home furnishings blend classic designs with clean, transitional interpretations to create pieces that complement any mainstay home. Whether you are looking for a punctuation mark on your already compelling decor or wanting an accent piece to provide the drama.....this line is for you. Enjoy the Amelia Lamp in your home today! 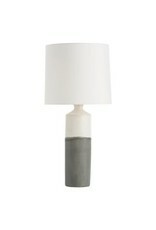 This simple two-tone ceramic base features both matte ivory and slate gray glaze finishes...think colorblocking. The two-tone finish and ivory microfiber drum shade create an understated and classic form. The smaller footprint makes it a good option for smaller tables and night stands. Finish may vary.